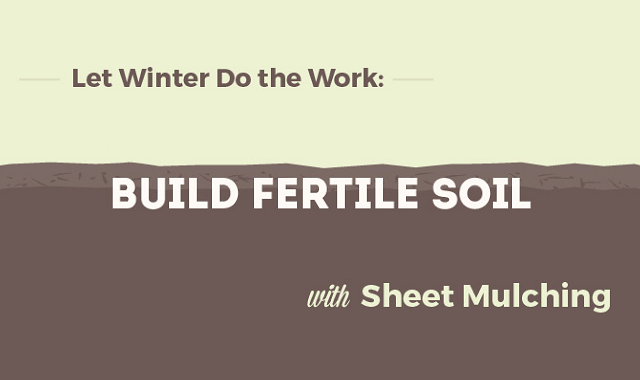 Let Winter Do the Work: Build Fertile Soil with Sheet Mulching #Infographic ~ Visualistan '+g+"
Planning to rent a rototiller to tear out grass for garden beds next spring? Thinking about trucking in dirt to replenish lifeless soil in an existing plot? Save time and money by sheet mulching now, and let the garden build itself this winter.